If you need to create an advance directive, there are a few options to get it done. An advance directive - also called a health care directive or physician's directive - is a legal document that describes your wishes for life prolonging care in the event you are injured, become seriously ill, or otherwise become unable to express your own wishes. We've got a few options to help you create this document and others. Choose from professional digital forms, a free boilerplate form, or find a local estate planning attorney to draft your will. 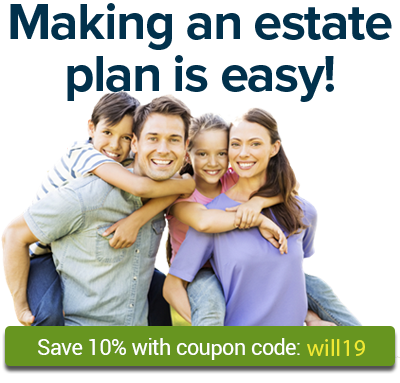 These estate planning products, provided by Nolo, can help you quickly create estate planning documents that are legally valid in your state, customizable to suit your needs, professionally written, and regularly updated by expert attorneys. Use these to create a legal, enforceable advance directive. If I should, at any time, have an incurable condition caused by any disease or illness, or by any accident or injury, and be determined by any two or more physicians to be in a terminal condition whereby the use of "heroic measures" or the application of life-sustaining procedures would only serve to delay the moment of my death, and where my attending physician has determined that my death is imminent whether or not such "heroic measures" or life-sustaining measures are employed, I direct that such measures and procedures be withheld or withdrawn and that I be permitted to die naturally. In the event of my inability to give directions regarding the application of life-sustaining procedures or the use of "heroic measures", it is my intention that my family and my physicians shall honor this directive as my final expression of my right to refuse medical and surgical treatment, and my acceptance of the consequences of such refusal. I declare that I am mentally, emotionally and legally competent to make this directive and I fully understand its import. I reserve the right to revoke this directive at any time. This directive shall remain in force until revoked. Subscribed and sworn before me this the _____ day of ____________, 20__.